Chronic pain is the most common reason why people seek medical care. So it should be no surprise, chronic pain is also the common reason patients obtain a clinical cannabis (medical marijuana) recommendation. Jeremy Kossen (science journalist and researcher) and Dr. Michael Hart (PTSD and chronic pain expert) concisely and effectively present the evidence for why cannabis can be an effective alternative to other treatments, particularly prescription opioids. Including an interview with Amanda Reiman, PhD, one of the leading voices in patient advocacy and harm reduction, you'll gain insights into the "subsitution effect" and how cannabis can play a role in combating the opioid epidemic. What is the magnitude of the current opioid epidemic and how can we solve the crisis? What treatments are available and how effective are they? 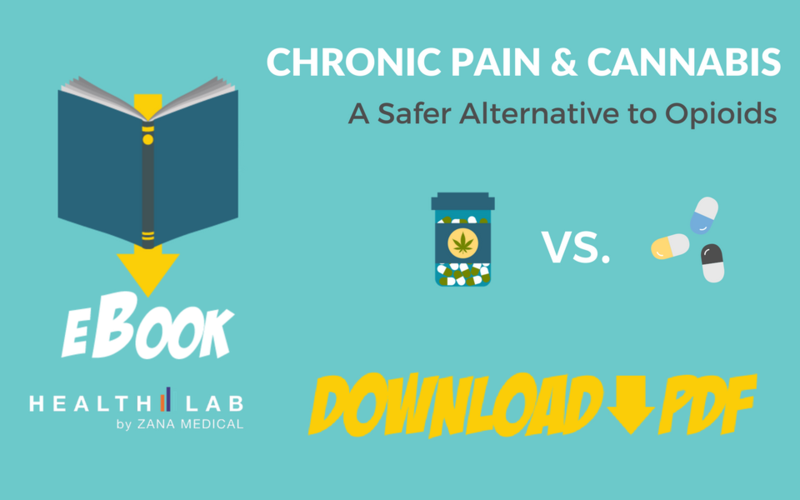 How can cannabis treat chronic pain? How effective is cannabis compared to other treatments? Can cannabis help people eliminate (or reduce) their reliance on opioid-based medications? What is the risk of dependency for cannabis vs. opioids? What should patients consider before using clinical cannabis?